The new Suzuki Burgman Street is off to a flying start if numbers from the first 12 days are considered. According to sources of Express Drives 11,000 units of the Suzuki Burgman Street have been sold till now in India. It should be noted that these numbers refer to scooters dispatched to dealers. 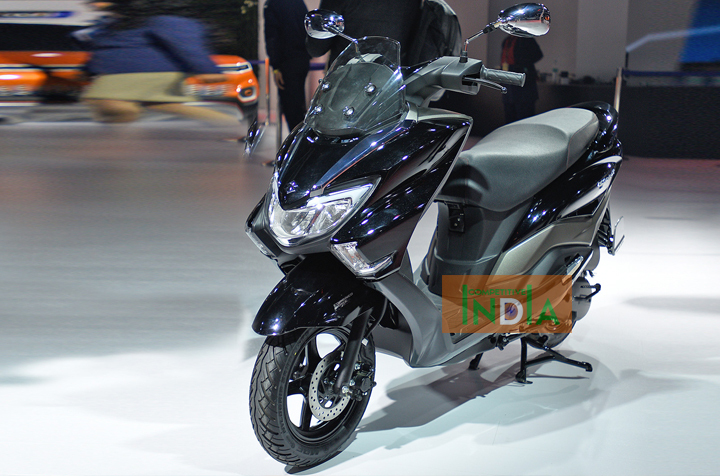 One prime reason behind the positive start is the maxi scooter styling that makes the Burgman one of its kind scooter in the country presently. The last time India saw a maxi scooter was a decade ago in the form of the Kinetic Blaze, which failed to blaze on the sales charts. Suzuki Burgman Street has been launched in India at a price of Rs 68,000 (ex-showroom). At such a price point, while there are other scooters like the TVS Ntorq 125 and Honda Grazia 125 that offer more features at a lesser price, the Burgman Street takes the lead with its bigger proportions and the comfort trump card played by Suzuki. The Suzuki Burgman Street uses maxi-scooter styling inspired by the larger Burgman range sold in global markets. It’s also the first made-in-India Suzuki scooter to feature an LED headlight and an all-digital instrument console. In terms of features, this flagship Suzuki scooter has been equipped with a multi-function key slot, large under-seat storage, a 12V charging socket (which is likely to be an optional extra), a cubbyhole below the handlebar and an LED tail-lamp. Powering the two-wheeler is the Access 125-sourced 124.3cc motor producing 8.7hp at 7,500rpm and 10.2Nm of torque at 5,000rpm. Other mechanicals of the Burgman Street are also shared with its 125cc sibling. Braking hardware consists of a disc brake unit at the front and a drum unit at the rear. Since the Burgman Street is an all-new product, CBS is standard. With a kerb weight of 108kg, the Burgman Street weighs 7kg more than the Access 125, which sits at 101kg. While the bodywork on the Burgman Street is made of fibre, the Access 125 gets a metal front apron.